CANFIELD - Susan (Carlyle) Kapp Jacobs was born to Mildred (Woodburn) Carlyle and Homer Edmund Carlyle on June 14, 1930, in Youngstown. 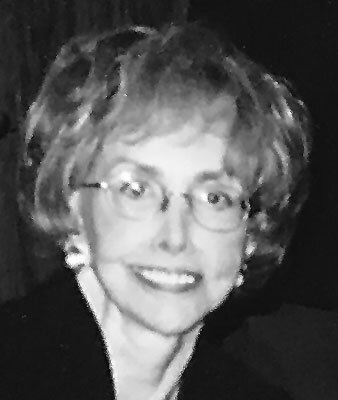 Susan graduated from Boardman High School in 1948, earned a Bachelor of Arts degree from Youngstown State University in 1952, Master of Education degree from Kent State University 1956, and completed post graduate studies beyond her masters at Boston University, YSU and Kent State. A nationally certified School Pyschologist, Susan started her career as psychologist at the Girls Industrial School in Delaware, Ohio, and taught in the Youngstown City School System for several years. She then served the Mahoning County Board of Education as School Psychologist for 28 years. During summers, Susan also worked as psychologist in the Youngstown City Schools and for the Bureau of Vocational Rehabilitation. In 1980, Susan opened her private practice for family and marriage counseling which flourished for the next 15 years. She was an adjunct mental health staff member of Salem Community Hospital. To this day she receives notes of appreciation from former students and clients thanking her for her guidance and encouragement and for making a positive difference in their lives. After closing the door on her practice, Susan opened the door to her career as a full-time artist specializing in multi-media, painting, pottery, and jewelry. Writing was also a passion, and she authored a number of stories and essays for children and adults. The accomplishment Susan treasured most was raising, as a single mother, her three children, Jodi (Kapp) Burgess of Granite Bay, Calif., Jeri (Kapp) Manning of Milford, Mich., and Josh Kapp of Winchester, Mass. After raising her family, Susan was blessed to meet Dr. George Letchworth, whom she married in 2003. Susan and George spent their remaining days together in a happy and loving marriage and passed away within hours of each other on Monday, Nov. 5. Susan is survived by seven grandchildren and her sister, Ruth Tevis, 94, of California. She was pre-deceased by her brother, George of Oklahoma. A joint memorial service for Susan and George will be held on Sunday, Nov. 11, at 1 p.m. at Avion on the Water, 2177 W. Western Reserve Road in Canfield. In lieu of flowers, donations to Fisher Center for Alzheimers Research Foundation are appreciated.